Welcome to Ourisman Volkswagen of Waldorf, where a history of remarkable service from a friendly, professional staff have made us your choice of a Volkswagen Dealership in Waldorf. Our massive selection of new and used cars in Waldorf is matched only by our vast selection of parts, repair service, car lease, and financing options. Whether you’re in the market for a new or used car or looking for the finest in quality repair service, look no further than Ourisman Volkswagen of Waldorf. At Ourisman Volkswagen of Waldorf, we respect and appreciate your decision-making process when it comes to choosing a new car. Motivating factors in the choice are which one best reflects your character, needs, and wishes. That’s why we pride ourselves on always providing a great inventory that is certain to include the perfect car just for you. Whether you’re looking for a new Volkswagen sedan, SUV, wagon, or compact, let Ourisman Volkswagen of Waldorf pave the way to connecting you with your next car. Get the wheels in motion by checking out our inventory online or drop by to visit with a member of our professional, friendly team today. Either way, at your Volkswagen dealership, we provide the choices. You make the choice. For many people, a new car is either not in the budget or not of interest. At our Volkswagen dealership near Alexandria, our pre-owned inventory of terrific vehicles reaches into the hundreds. Knowing our reputation is on the line, our lineup of used cars meets exceptional standards before we let them out the door. These quality and budget-friendly options save you plenty of money, while still providing many of the same amenities you get with a new car; exceptional looks, feel, technology, and safety. For the finest used cars in Waldorf, check out our used car inventory online. Even better, come in for a test drive today and learn more about our pre-owned inventory specials. New to you goes a long way. 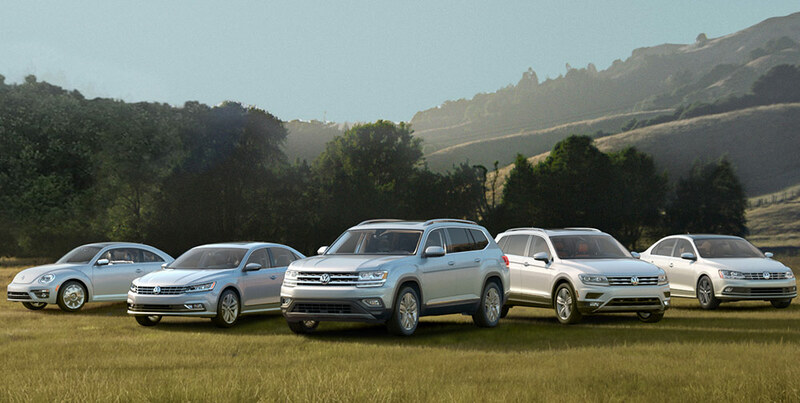 At Ourisman Volkswagen of Waldorf, we absolutely understand peoples’ commitments to budgets. Over-extending ourselves defeats the intention of living - and driving - in comfort and joy. That’s why we have a professional and friendly staff in our Finance Department devoted to you and your budget-conscious mind. We can either provide financing for your new car or help with used-car financing. Without regard to credit - good, bad or none - you can qualify for a car lease or auto loan. At your Volkswagen dealership, our solid relationships with car loan companies gives us an edge on finding you the perfect way to finance your new or used car. Want to get started? Fill out our quick and easy online finance application. For additional help or to get all your questions answered, give us a call or visit Ourisman Volkswagen of Waldorf today. Don’t let financing be a roadblock to getting you on your way. Not only is the Volkswagen name synonymous with class, style, and integrity, but at Ourisman Volkswagen of Waldorf, our rich-in-history commitment to customer satisfaction has made us the ideal choice for auto repair and maintenance services. Our highly-qualified technicians realize that your time is valuable. Every member of our Service Department is committed to getting you on your way as quickly as possible, but handle every job without any sacrifice to quality service. Whether it’s a routine an oil change service or something more involved, like a transmission replacement, count on your auto repair center in Waldorf to treat your car as if it was their own. Schedule a service appointment with our Volkswagen dealership today! In the market for a new or used Volkswagen? Needs parts or service? Need help with financing? Many questions all lead to one answer - Ourisman Volkswagen of Waldorf. Drivers in Alexandria, VA, and Fort Washington, MD can visit us today at 2282 Crain Highway in Waldorf, Maryland or call us at (877) 275-0228.